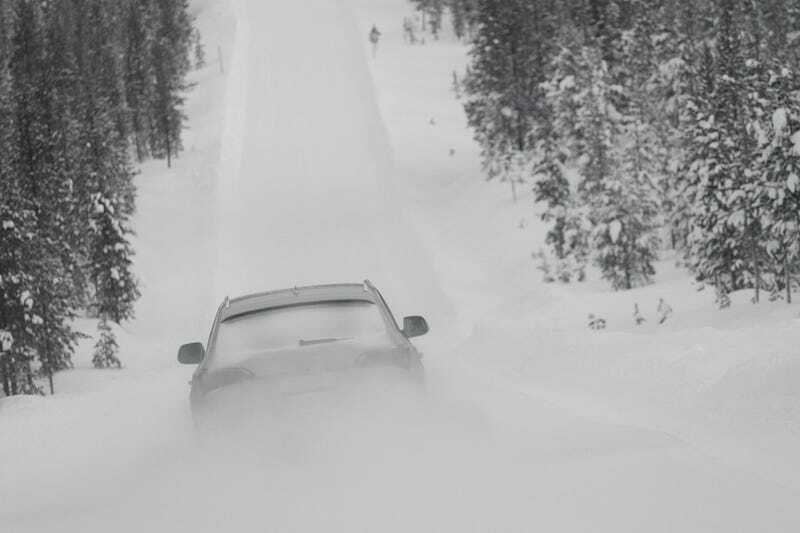 Máté and I had a great time at the northernmost winter tire testing center in the world, in February in Finland. The following set of 50 photos serves as a pictorial diary of a nearly one-week trip beyond the arctic circle, where Finland's snow tire makers test the hell out of all kinds of rubber. Tired of tires? Try to change them six times a day! 'What a friction tire can do nowadays amazed me" - says Máté. What time is it? Circa three o'clock so let's turn on all the headlights! Day four: let's do a few brake tests inside the indoor ice testing facility!